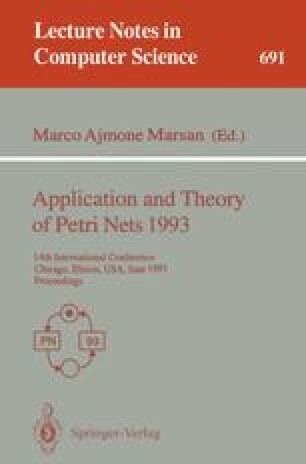 The paper discusses the modeling of OLTP (On-Line Transaction Processing) using colored Petri nets and the Design/CPN tool. We have performed industrial-sized simulation of tens of thousands of transactions running on databases with millions of records. OLTP applications were chosen because the OLTP workloads emphasize update-intensive database services with up to thousands of concurrent transactions per second. The goal of the experiment was to develop a methodology for the net modeling of OLTP-like applications with respect to the ability of different computer systems to meet the OLTP benchmarks requirements. The effort spent on the successful modeling of such large systems resulted in some methodological conclusions which required us to avoid straightforward approaches to the net modeling and to develop a combined technique of using nets together with embedded programming for simulation and analytical modeling.